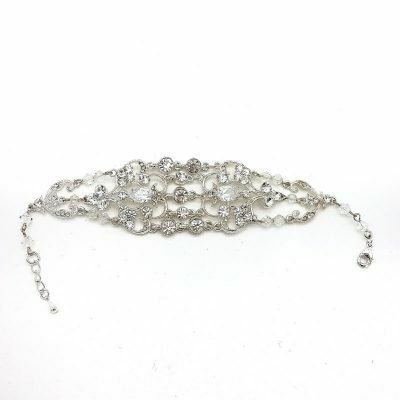 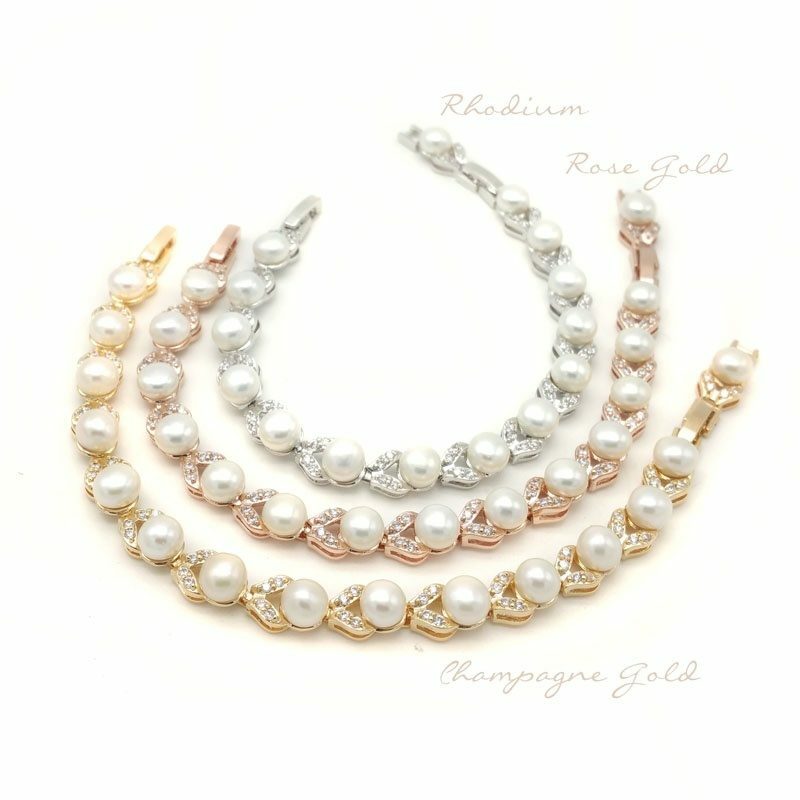 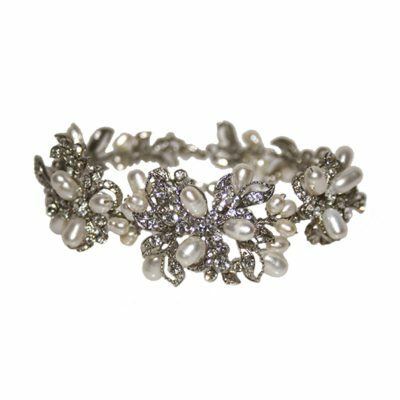 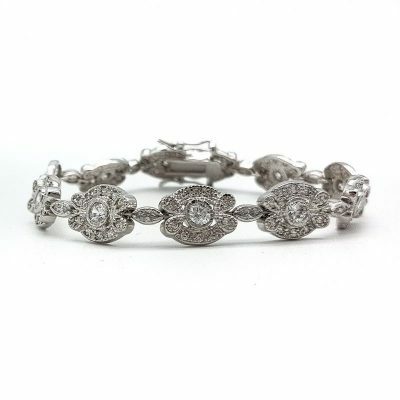 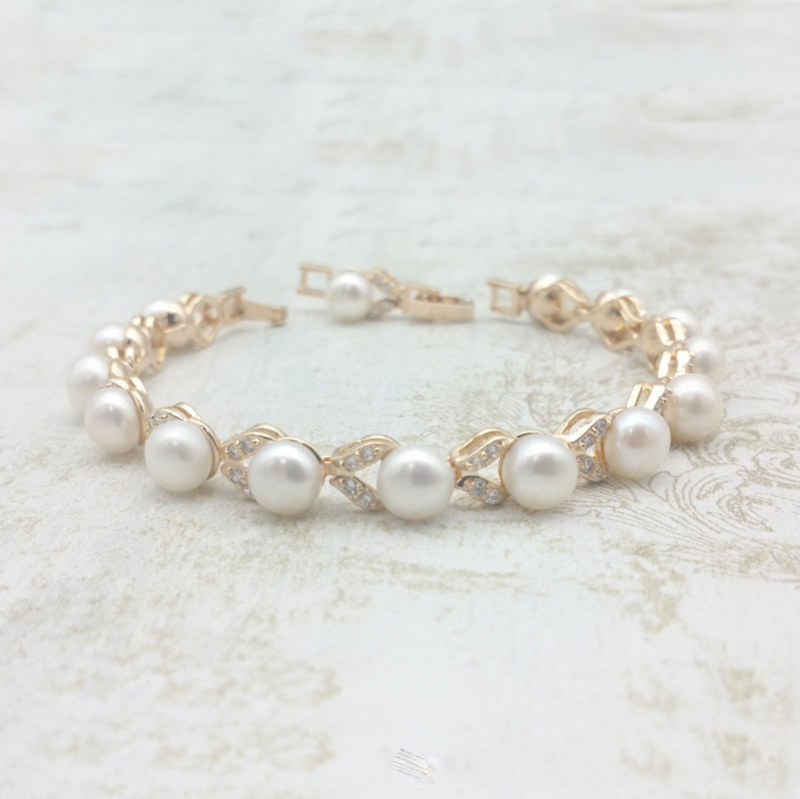 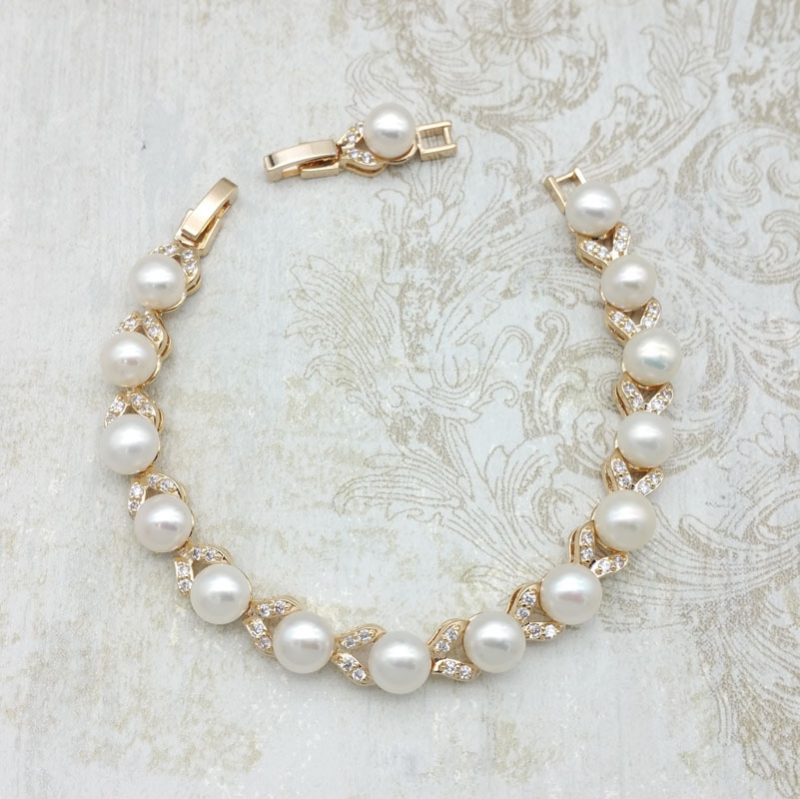 A delightful bracelet that will suit everyone in your bridal party. 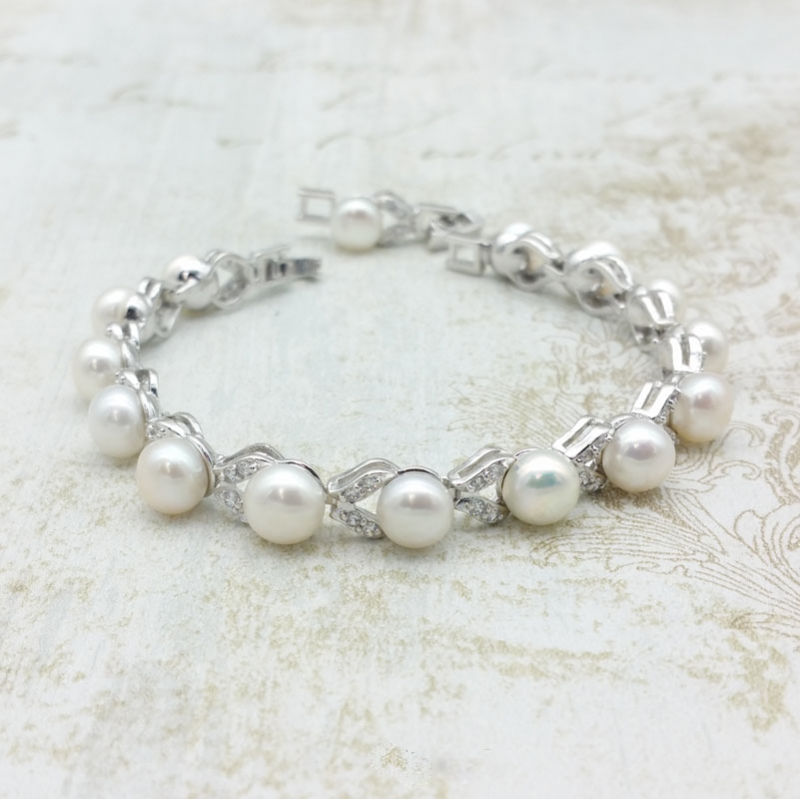 Made from gorgeous fresh water pearls and sparkling cubic zirconias. Available in silver, champagne gold or rose gold each are equally as beautiful.